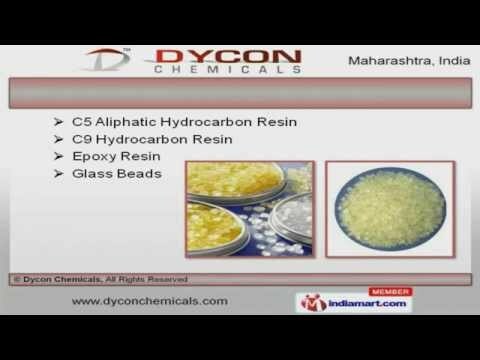 Welcome to Dycon Chemicals, Importer and Trader of Chemical Products. The company was incorporated in 2008 at Mumbai. Our products are applicable in Rubber, Chemical, Paint and other areas. Impeccable quality products, industry leading prices and Ethical business dealings are the strengths of our organization. Our product list covers Aluminum Paste, Butylated Hydroxytoluene and Chrome Pigment. C9 Hydrocarbon, Epoxy Resin and Glass Beads are widely appreciated in the market. We also provide Hydrogenated Hydrocarbon Resin, Organic Pigment and Polyethylene Wax that are reckoned all over the world for their superb quality. We have gained tremendous expertise in providing Petroleum Resin, Rosin Ester and Styrene Butadiene Styrene. SEBS Polymers, Additives for Paints and Lubricants are available at industry leading prices. Our Glass Beads for Reflectors, Grinding Media and Road Marking Paints are a class apart.